Our Summit programme offers a unique opportunity to network with the CEOs and top leaders from some of South Africa’s most successful retailers and manufactures and get inspired by an exceptional line up of speakers and industry experts. Don't have an account number ? Huawei, MTN etc. His specialty lies in areas of Innovation, Design Thinking, Digital Strategy and Brand Marketing. Intelligence, Block chain, Robotic Process Automation, Internet of Things and Mixed Reality. He is a father of 2 daughters and husband to one wife. A youth specialist, public speaker and general lover of life. Jessi Tomkinson, the Director of Student Village’s young talent division, has over 10 years of experience in talent acquisition, development and youth empowerment for South Africa’s best loved brands. 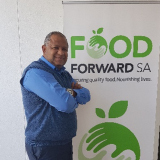 Andy Du Plessis, the Managing Director of FoodForward SA for the past 5 years, started his career in the public sector with the Western Cape’s Provincial Health Department’s Social Development Programme. Because of his desire for wanting to make an even greater impact, he made a career change when offered the opportunity to head the Peninsula School Feeding Association, an NPO that specialises in school feeding programmes. 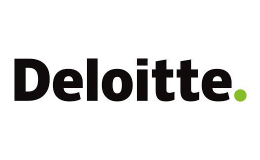 Currently serving in a business advisory role as Senior Chief of Staff for the African Consumer & Industrial Products Industry group of Deloitte. Dylan works through the value chain from manufacturers to retailers. He is responsible for global and local stakeholder engagement, go-to-market strategy, operations, & driving a Pan-African industry growth strategy. 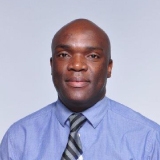 Mr. Mashimbye is a qualified financial accountant who studied at the Technikon Northern Gauteng (now Tshwane University of Technology) and the Technikon South Africa (now UNISA). 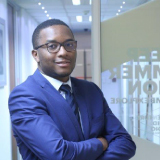 He majored in Financial Accounting and Corporate Law and also studied towards his MBA with the Management College of SA (still to be completed). 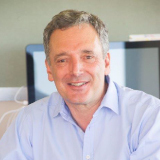 Gareth Ackerman is the chairman of South African retail chain Pick n Pay Stores. As a family-controlled listed company founded by Raymond Ackerman in 1967, it is one of the region’s largest retailers in eight countries and employs more than 60,000 people. 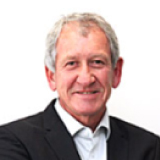 Mr Ackerman is a board member of the controlling company board Pick n Pay Holdings Limited, and chairs the family office and investment committee. 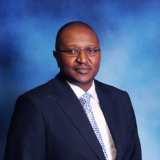 Gwarega joined CGCSA in January 2012 from Internatio Mueller Chemicals Distribution (IMCD) South Africa (a subsidiary of the Rotterdam based IMCD Group), where he served as Financial Director. He has a Bachelor of Business Science (Finance Honours) degree from the University of Cape Town and is a qualified Chartered Accountant. He then went on to complete his MBA as well as an Executive Development Programme at the Gordon Institute of Business Science (GIBS). Born in Belgium, Jacques achieved a Master’s degree in Hospital Sciences from the Université Libre de Bruxelles. He started his career working for the European Development Fund in Somalia. Back in Belgium, he fulfilled the role of hospital manager and then accepted to lead the HR department of a large industrial group in South Africa. There he founded his own business specialized in the development of antiseptics. Linda has spent the best part of her career in the food industry. She has been involved in training, auditing and implementation of management systems first hand. She has an Masters in Environmental health, specializing in food safety. She is a director at Food Focus, an educational platform where she is trying to improve the food industry, one tweet at a time. She is passionate about the industry doing the right things, the right way. 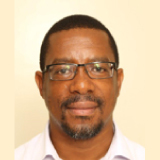 Maphuti Kutu is the Technical Specialist: Foods and Agro-processing in the division Regulatory Research and Development of the National Regulator for Compulsory Specifications (NRCS) (5 years). She holds a M.Tech in Food Technology with the Tshwane University of Technology and a certificate in Total Quality Management (TQM) from UNISA. She is a registered as a professional natural scientist with SACNASP (South African Council for Scientific Natural Professions) and a member of SAAFost (South African Association of Food Scientists). 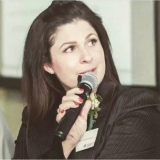 Patricia is a third generation South African with extensive legal, advocacy and regulatory experience in the Motor and FMCG industry as well in the labour sector and Not for Profit Organisations (NPO). She studied at the University of Natal where she graduated with a Bachelor of Social Science (B Soc Sci) and LLB honours degrees. 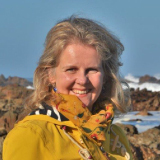 Nicola has over 20 years of experience working in the sustainability field with a focus on adding value to supply chains, sustainable food systems, food loss and waste, alien vegetation and forestry, packaging and ‘green’ skills. 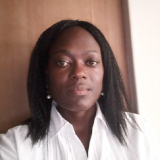 With a deep applied knowledge of the retail, food and drink and hospitality sectors, she provides advisory and research capacity to government, business, academia and NGO’s to on the above areas. 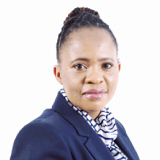 Ms. Matlou Setati is the FSI Executive. 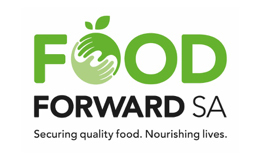 She oversees advocacy and liaison of sustainable initiatives, forums, projects and/or programmes within the precincts of food science, safety, quality, nutrition, health & wellness, regulatory and related matters for the consumer goods and retail industries. 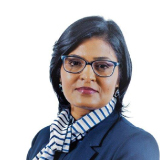 Michele joined the Consumer Goods Council of South Africa (CGCSA) as the GS1 Executive Head in March 2017 from Accenture South Africa, where she served as a Senior Business and System Integration Manager. Prior to joining Accenture Michele held Service Delivery Management, positions in the Planning and Forecasting areas of Supply Chain and Procurement Management. She has worked on transformations projects in organization like Shoprite, Unilever, McCain Foods, Nampak Tissues, Omnia Foods, and JD Group, QAD and SAP. 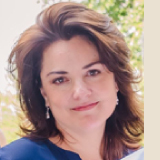 Her career spans across both the operational implementation and strategic direction which encompasses, retail, manufacturing and financial services industries. South African National Accreditation System (SANAS). 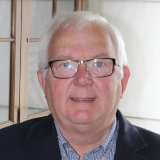 Mr Phophi is the Accreditation Manager for the Testing and Good Laboratory Practice (GLP) programs at the South African National Accreditation System (SANAS). He joined SANAS in 2007 and before that he worked for the Department of Agriculture at the Food Safety Directorate & Quality Assurance. In his earlier years with SANAS, Mr Phophi managed programs such as the Certification and Veterinary, Pharmaceutical and Forensic programs. His day to day job at SANAS includes amongst others managing the process and technical integrity of the assessments and inspections of both the Testing and GLP facilities. He also performs laboratory & GlobalGAP assessments and GLP inspections. Mr Phophi is a qualified peer evaluator for both the African Accreditation Co-operation (AFRAC) and Organisation for Economic Co-operation and Development (OECD) GLP. This involve evaluating other accreditation bodies in the continent and GLP monitoring authorities around the world that are responsible for GLP compliance of research facilities that carry out pre-clinical safety studies. Mr Phophi also represent South Africa at the OECD GLP Working Group. 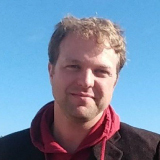 Vincent Henwood qualified as a veterinarian in 2010 and took up a position as a state veterinarian with the Western Cape Department of Agriculture in the Export Control sub-programme. He was initially the official veterinarian at an export ostrich abattoir for 2 years before transferring to a post dealing primarily with policy in 2012. He is currently responsible for coordinating the Western Cape Veterinary Service’s audit programme for companies that export animal products from the Western Cape. Other job functions include auditing of export establishments (meat, dairy, enzymes, hides and skins, ready meals, abattoirs etc), export certification and electronic data management for the subprogramme. He is also involved in a number of projects and committees with the National Department of Agriculture including the post allocation and monthly reporting for the national Compulsory Community Service (CCS) veterinarians programme, the Livestock identification and traceability committee (LITSSA) as well as the export certification working group. 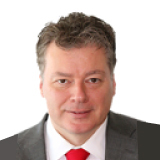 Global Head Government Relations, ABB Ltd.
Mr. Becker joined ABB in 1998. He headed the global Marketing & Sales for the power related businesses, before becoming the Group’s Head of Corporate Strategy. After that, for four years, he operated the Automation business of ABB in North Asia, out of Shanghai. He then took over, again for four years, the global Control Technology business, the strategic heart of ABB’s 4th Industrial Revolution activities. He then was appointed by the CEO of ABB as Program Director Africa in January 2015. Based out of Dubai, Tobias successfully anchored ABB further on the African continent, growing the top-line significantly. Since January 2018 he took over as Global Head Government Relations for the ABB Group, with the mandate to drive and improve all Business to Government aspects for ABB. 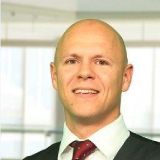 Tobias is a certified banker and holds a dual master’s degree in Electrical Engineering and Business Administration from Technical University of Darmstadt, Germany. Tjaart joined Premier in 2011 and has more than 30 years of executive experience. 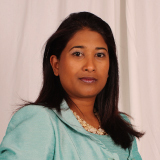 Prior to joining Premier, Tjaart was the CEO of Afrox Ltd for 5 years and previously held executive positions with Tiger Brands in the pharmaceuticals and grains divisions as well as in Country Bird. Tjaart leads Premier’s intent to be a leading FMCG player in chosen geographies. Director – Agro-processing – Department of Trade and Industry. Thembelihle Ndukwana holds a Master of Leadership Degree (MBL) and BSc Honors Degree in Agriculture. 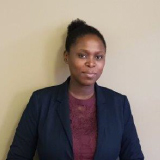 Ms Ndukwana started her career as an agricultural scientist at the KZN Department of Agriculture, working as the agricultural scientist she was involved in capacitation of agricultural technicians and communities on crop production, horticulture and sustainable farming practices. Programme and Innovations Lead at WWF South Africa. 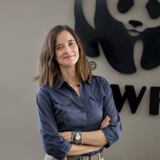 Tatjana von Bormann is the Programme and Innovations Lead at WWF South Africa. The multidisciplinary team she leads focuses on some of the key challenges at the intersection of society and the environment, among them energy provision, food security and sustainable urban settlements. Diane started her carrier at Cap Gemini. She joint GS1 France in 1998 and held positions of increasing responsibility in business development, technologies and innovations. 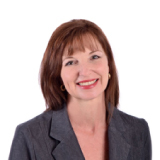 in 2007, Diane joint GS1 Global Office as Director Industry Solutions. She launched GS1 Mobile Commerce, a cutting-edge initiative with pioneers of the Omni-channel age that refreshed the contribution of data standards to business-to-consumer interactions. 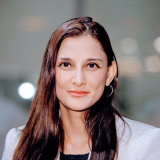 She led the development of GS1 global traceability programme for capacity building and its deployment in 65 countries. She facilitated and provided research support for the Product Traceability Expert Group of the European Commission, Directorate General Health and Consumers. 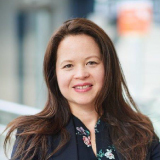 Since 2014, she focuses on building the global traceability ecosystem to enable product safety, transparency, consumer trust and food waste reduction based on GS1 common language for businesses. 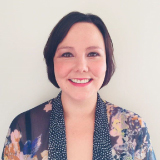 Diane was recently Vice-Chair of the Global Food Safety Initiative (GFSI) Regional Outreach work group. Agilit-e, pronounced “agility”, is a low-code, agile, integration service portal. Agilit-e allows for the configuration of API profiles that scale across multiple modules to create custom microservices and integrations for almost any platform or service, whether on premise or in the cloud. Gone are the days of re-inventing the wheel. We are in a world of services and micro offerings that can easily be reused in one’s projects…if one understands the game of integration. Agilit-e simplifies this process by not only including a number of day-to-day services out of the box, but by providing the means to easily integrate with 3rd party services and platforms. Alvi Gordon is a proudly African full-service Agency which enables brands to authentically and meaningfully connect with Africa’s dynamic consumer. Our approach is deeply entrenched in our vision to inspire African’s to develop sustainable solutions in addressing the continents challenges. We believe no one has a more rooted connection and better appreciation for the rich diversity & cultural nuances which exist across the continent than the locals themselves. Our strategies are born from real insights, informed by locals with a passion to deliver creative excellence that deeply and meaningfully resonates with consumers locally. We have offices in South Africa, Namibia and Mozambique which operate independently under the Alvi Gordon Group. Each business unit services its local and international clients utilising local resources and suppliers in order to meaningfully optimize the agency’s contribution to the local economies. Bishop Technologies combines Information Technology with Telecommunications for exceptional middleware connectivity solutions. BT Checksite enables visualizations of movements around your assets as well as data analytics around data on database with alerts, White, Grey and Red lists. The love of cooking has drove Metse Thebe to run a company named Cosmo Dumpling, where I steam Dumpling and sell it at a price. Cosmo Dumpling is 100% Female black owned. The idea was to provide people in and around Cosmo City with freshly steamed Dumplings. This is a near impossible task because I am commissioned to scramble for a niche in the market and defend my share therein. With regard to the pedigree of my business, it has been exactly 1 year 10 months since Cosmo Dumplings was formally established in January 2017. To keep our dumpling proudly South African, we remained faithful to the native ingredients, that is: flour, sugar, salt and Lukewarm water. We supply our dumplings to all events. We also are targeting restaurants, as well as to fight for inclusion of dumpling as a standard and signature option in the value chain stores. Datacentrix is an all-inclusive, services-orientated, integrated ICT solutions provider that uses leading technologies to deliver sustainable value to corporate and public sector organisations. The company strategically partners with its customers, equipping them with valuable insight and helping them to align their technology undertakings with their business strategy. Datacentrix’ mature offerings; its national footprint; empowerment rating, and proven execution capability and speed reinforce its position as one of the top ICT players in the local market. Kurlz & Kutz is a children’s hair salon and hair care product retailer based in Rosebank catering for all hair types. The salon, founded by 3 black females, was specifically designed for the modern day discerning parent. We have free-wifi and work stations for parents to maintain productivity while waiting for their little ones as well as adult hair and nail services. We also have an in-house hair care range called “For Little Angels” developed specifically for little ones in mind which contains no “naughty” products. We have a hospitality service, a library and play areas and we also sell books and novelty toys to keep children entertained to break the monotony of getting their hair done. LRQA is part of Lloyd’s Register Group Limited, which is a global organisation (Est. 1760), working in over 120 countries and able to provide co-ordinated services worldwide for multinational clients. We focus on local needs, meeting the specific requirements of all our clients, large and small, wherever they operate. Our unique assessment methodology helps you manage your systems and risks to improve and protect the current and future performance of your organisation. Mitas Corporation (Pty) Ltd was founded in November 2007 and was originally registered as Schaerer Investments t/a Traceability Solutions. The company was established due to the need in both Southern African and African markets for specialized track and trace solutions in various industries. An additional gap in the market place resulted in our developing a one-stop tailored approach to tracing solutions. Given our internationally acclaimed partners, and our range of knowledge and expertise (spanning more than a combined 120 years) we are able to provide the market with the newest technology in the marking and identification, track and trace fields. Mitas Corporation and its various divisions each specialize on their own niche markets, with congruency between all of the various solutions. Our current client base is vast, and includes, but is not limited to, Weapons Marking and Control, Automotive Manufacturers, Heavy Metal Manufacturers, Fast moving consumer goods (FMCG), Pharmaceutical, Aviation, Construction, Engineering, Plastics, Banking and Corporate, to name but a few. Nihilent is a global consulting and solutions integration company using a holistic and systems approach to problem solving. Headquartered in Pune, India, we have extensive experience in international consulting, IT outsourcing and IT services. Our operations span North America, Europe, Africa, Middle East, Australia and Asia. Our mission – Change for Performance, encapsulates its commitment to make change happen systemically in terms of people, process, technology and knowledge for achieving sustained performance for its clients. We offer a range of consulting led services including design thinking, digital transformation, enterprise transformation, advanced analytics, SAP® implementation, enterprise IT among others, to different verticals like BFSI, Retail, Supply Chain & Manufacturing, Energy, Mobile Computing and Telecommunications, Media and Entertainment, Government and State-run Enterprises, and Healthcare. The National Metrology Institute of South Africa (NMISA) was established under the Measurement Units and Measurement Standards Act No 18 of 2006. The NMISA is responsible for maintaining the SI units and to maintain and develop primary scientific standards of physical quantities for SA and compare those standards with other national standards to ensure global measurement equivalence. The institute furthermore must provide reference analysis in the case of a measurement dispute and maintain and develop primary methods for chemical analysis to certify reference materials for SA and the region. Proudly South African is the country’s local procurement advocacy campaign that aims to influence the buying behaviour of consumers, private business and the public sector in favour of locally grown, produced and manufactured goods and services. The ‘’Buy Local’’ philosophy is an internationally tried and tested method to stimulate economic growth through job creation, which results from increased uptake of local goods and services. Proudly South African is a member-based organisation. Africa since 2001 and is a recognized and respected role-player in the forensics arena. The South African National Halaal Authority (SANHA) is a registered Non-Profit Organisation (NPO), which regulates all matters pertaining to the general application of the term Halaal with specific reference to Islamic Dietary Laws. SANHA’s leadership comprises of major Muslim theological formations, academia and professional bodies. SANHA is committed to standardizing Halaal procedures locally and globally by promoting uniformity, professionalism, transparency and accountability in the certification of Halaal products. SANHA is a founder member of the World Halaal Council and has established links with key stakeholders in governments, industry and Muslim community representatives internationally. Secnovate is a Security Services and Solutions provider offering a comprehensive suite of both Cybersecurity and homeland security solutions to public and private sector clients, including those in South Africa, Africa and Europe. Together with an extensive partner network, Secnovate offers innovative and proven solutions tailored to resolve persistent and challenging cyber and physical security threats. Our Compliance and Risk Management approach draws from our in-house expertise and broad portfolio of solutions, including Security Assessments (e.g. Vulnerability, Penetration, DDoS and BCP/DRP assessments), Compliance Readiness and Assessments (such as POPIA/GDPR readiness), Network and end-point Security Solutions (including Malware Threat Detection & Remediation), Risk Management Solutions (including secure communications), Industrial Cybersecurity Solutions, Consulting Services and Training (both on-line and instructor-led, across all spectrums of management and staff). We provide an integrated business offering through a software platform for the creation, management, reporting and automatic distribution of product master content via a network service for manufacturers and sellers. Silo content is brand-verified and optimised for channel agnostic marketing. Silo is the only digital asset management provider that combines brand content management with powerful retail intelligence. Silo Analytics provide retail promotional statistics, real-time pricing data and share of category insights, for a competitive advantage in the market place. Customers can measure true return on investment on promotions and gain insights into consumer behaviour and retail market trends. FASTMOVING (a division of Silo) is a business-to-business news site that showcases the latest trends in the retail and consumer brands in South Africa and Africa. We reach both local and international Retail Buyers, Store Managers, Liquor Outlets, Manufacturers, Distributors, Brand and Marketing Managers with news and information about Products and Services available to the South African Retail Industry. Our target audience is made up predominantly of manufacturers, suppliers, service providers, retailers, consumers and investors within the Consumer Goods sector trading in South Africa, Africa predominantly, and globally. 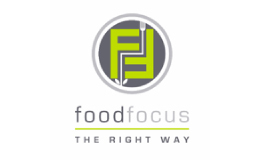 Content Focus: Latest updates on new products, news headlines, food and packaging updates, brand activations, corporate social investment, latest jobs, events, and related content directed at mid- to top-level management in food retail and related FMCG sectors. SmartDigital is an innovative professional and services consulting company specializing in transforming companies to be leaders in digital. Our core business is to create digital leaders and enabling our clients to be customer focused and efficient. Our primary products are broadband connectivity, IoT solution for homes, retail, mining, logistics and government; as well as data analytics. The company began through a partnership between Dark Fibre Africa (DFA) and global IoT operator Sigfox. Sigfox today has a presence in 54 countries and covers over 1 billion people with its global network, allowing Sigfox Ready™ devices to roam at no extra cost. The SqwidNet network currently covers over 85% of the South African population, enabling millions of physical devices to be connected to the digital world. Workmanship refers to the quality of the work of an artisan or craftsman. TechSonic is a company that believes only in the highest standards of workmanship. Workmanship delivered by the most qualified technology specialists coming from a hardworking background and having a passion for audio visual solutions. Combining leading-edge business strategies and technical knowledge, to develop efficient and effective solutions that keep businesses one-step ahead. TechSonic partners with customers to deliver quantifiable business value by aligning technology solutions to their customers’ strategic business objectives. Since inception, 35 years ago, Transman has provided critical operational and staffing support services to business efficiently and effectively ,thus assisting companies to achieve their business objectives. Our experienced team services temporary, contract and permanent Staffing requirements, Payroll, Recruitment , HR/IR, Health & Safety, Training & Skills Development, Employee Wellness and provide client secure access to our customised ,unique Management Information System designed specifically to suit multiple business models. Our Superhero Team possesses in-depth knowledge in the various industries to which we supply services, from multifunctional , operational outsourcing support to supplying one temporary worker for a few hours to 1200 contract Placed Staff on long term contracts in numerous diverse job categories ,with an enormous variety of skills, in many specialised industries, and on any one site throughout South Africa. We excel in meeting the many challenges of business in South Africa! Ukuvuma Security was founded in 2013 by a team of cyber and information security experts and enthusiasts. We are dedicated to helping businesses sort out and de-clutter their security systems. We do not rip out and replace the security systems that companies have already invested in, but rather augment them with ours. We offer streamlined, highly efficient alternatives that can zoom in on the most advanced threats out there today. Every product we put into place has a reason for being there and does what it is there to do. We operate within the world’s largest threat intelligence network and use it to our advantage to ask the all-important question: “Where are you vulnerable?” Using razor-sharp analytics, we provide visibility, reveal the meaning behind the security measures we deploy, and actively hunt for threats across all industries. 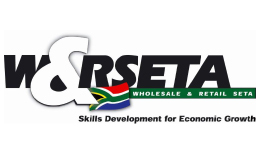 About the W&RSETA: The Wholesale and Retail Sector Education and Training Authority (W&RSETA) was established in year 2000 as one of 27 SETAs in terms of the Skills Development Act. We facilitate skills development for the Wholesale and Retail Sector through implementation of learning programmes, disbursement of skills development grant and monitoring the provision of education and training as outlined in the National Skills Development Strategy. To develop a skilled, capable, competent, and professional workforce to transform the Wholesale and Retail Sector.